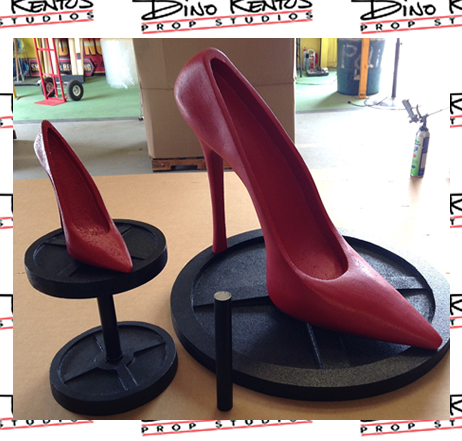 Giant/Big High Heel Foam Prop - Dino Rentos Studios, INC. Approximately 7 foot tall by 7 foot wide. Perfect for fashion themed events. 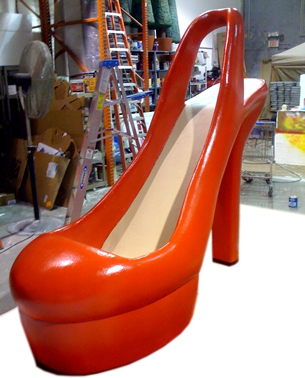 Call for custom sizes and versions!